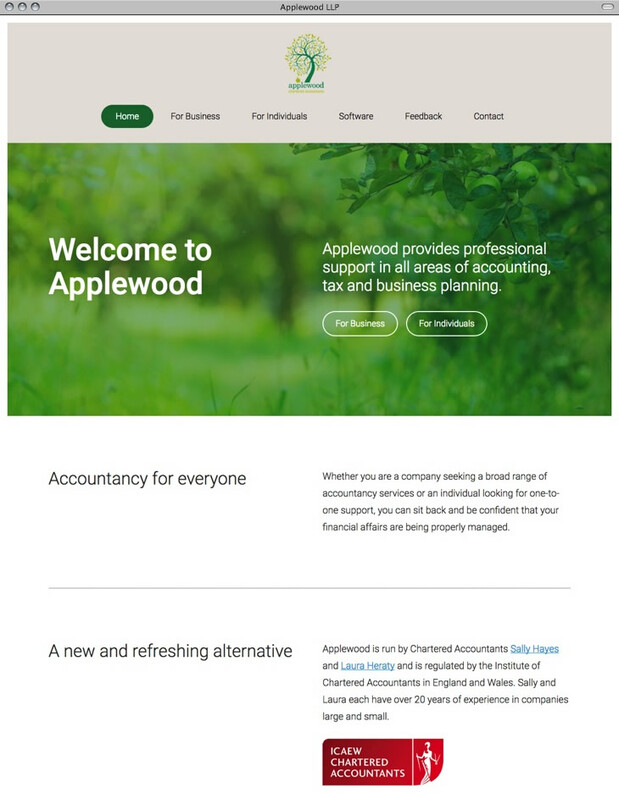 Fresh design for chartered accountants, Applewood LLP. 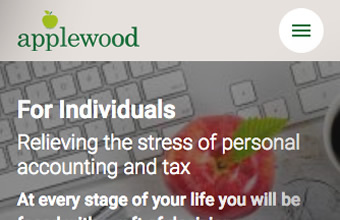 We built the original website for Applewood several years prior and it was long overdue a redesign and rebuild to bring it up to date. 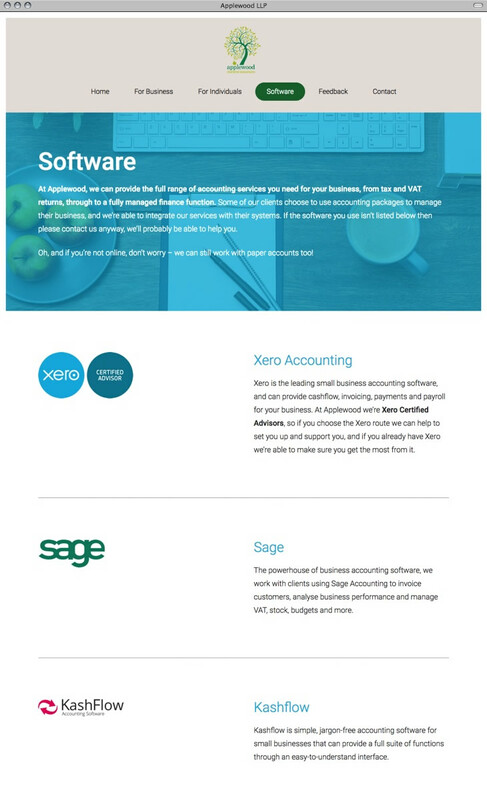 The completed site is a clean, polished and simple to navigate website built on out bespoke admin interface in WordPress. The design gives a warm, welcoming feel and reflects the friendly nature of the business perfectly.